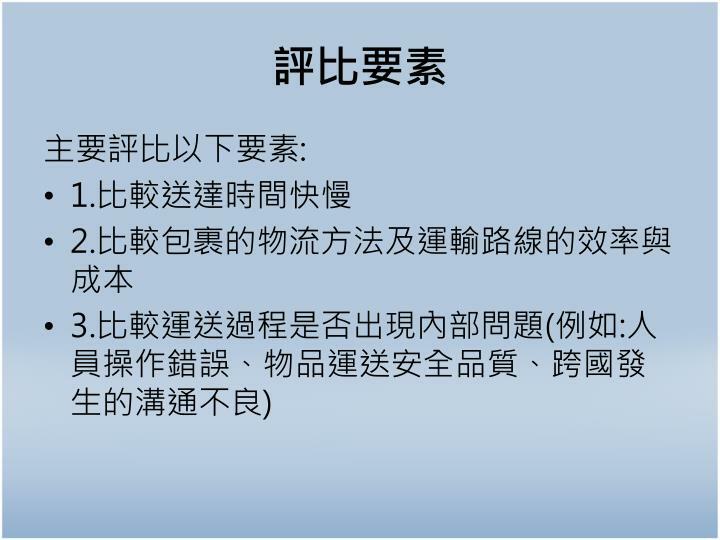 管理學作 業. 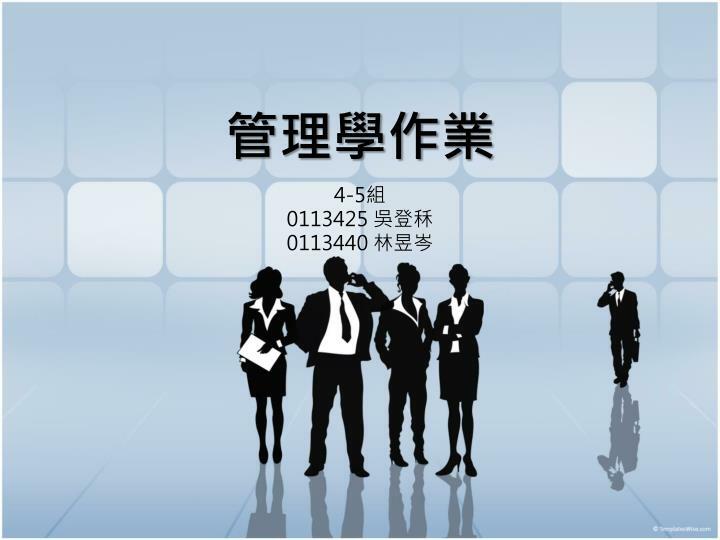 4-5 組 0113425 吳登秝 0113440 林昱岑. 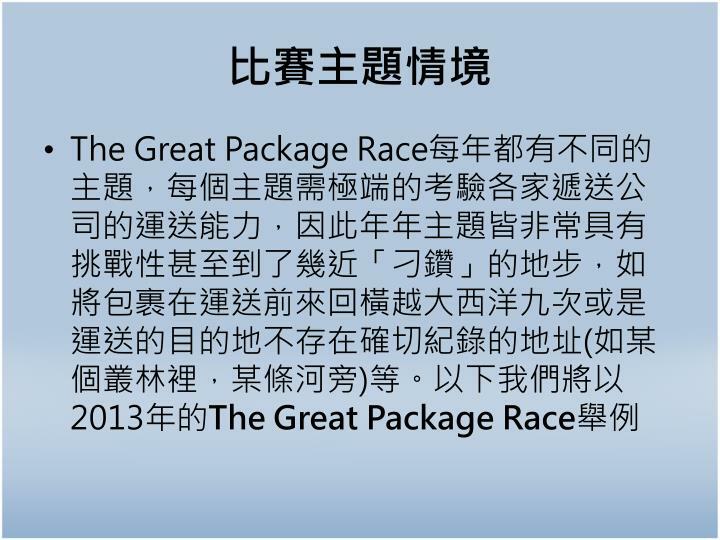 The Great Package Race. 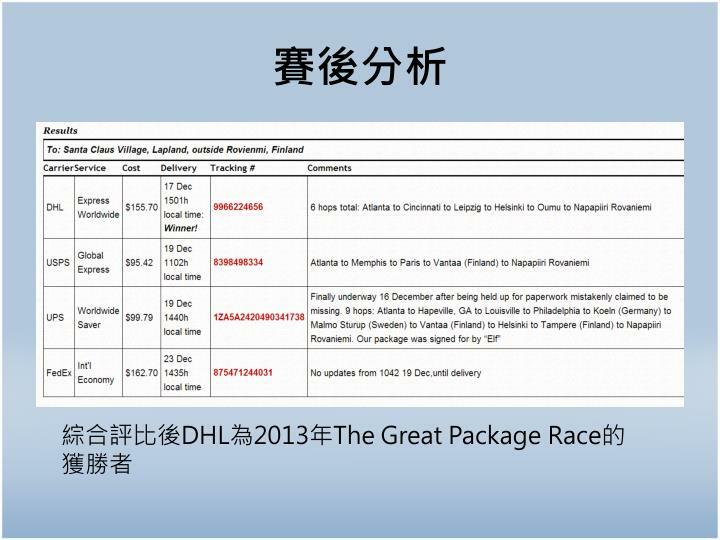 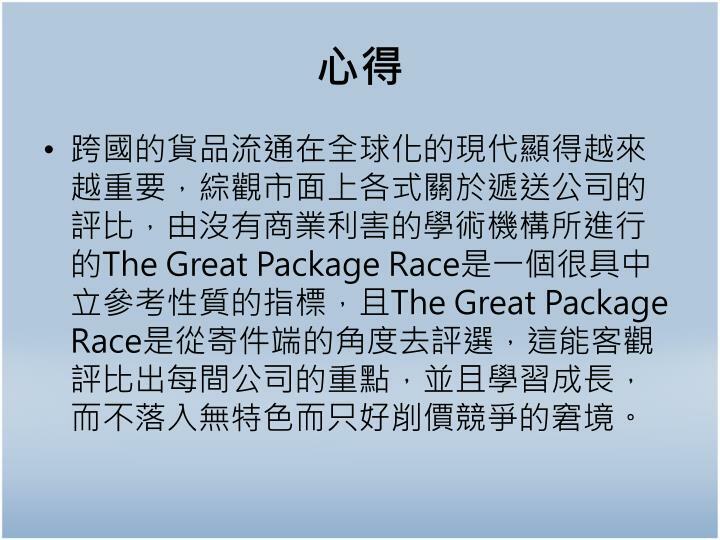 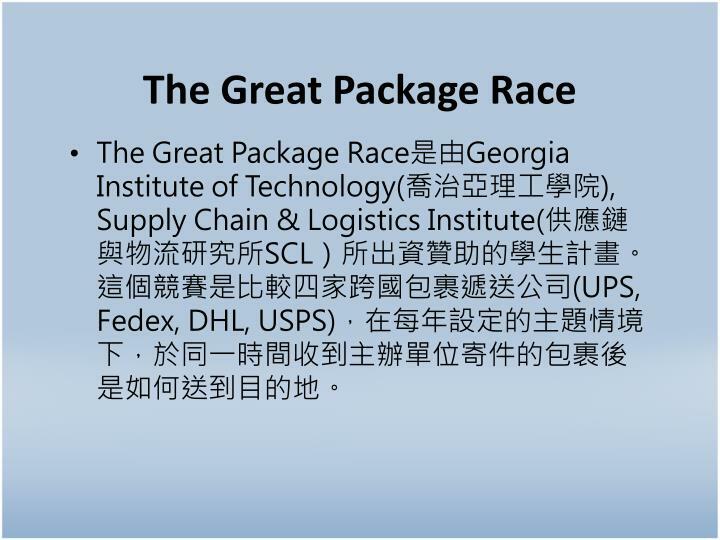 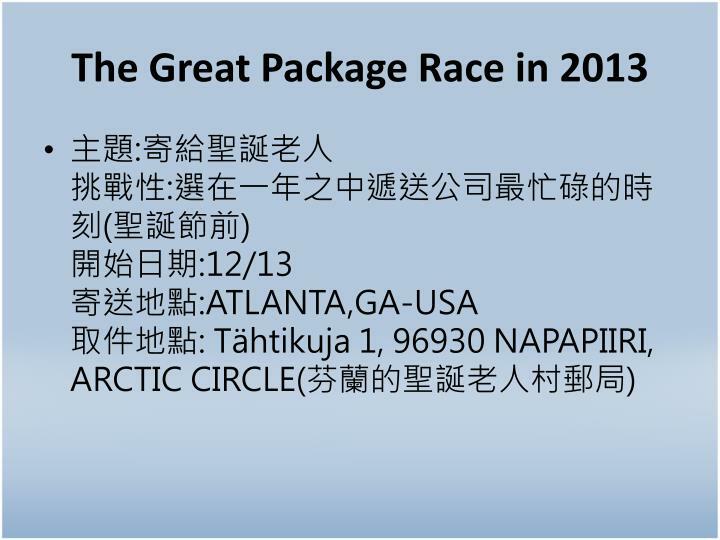 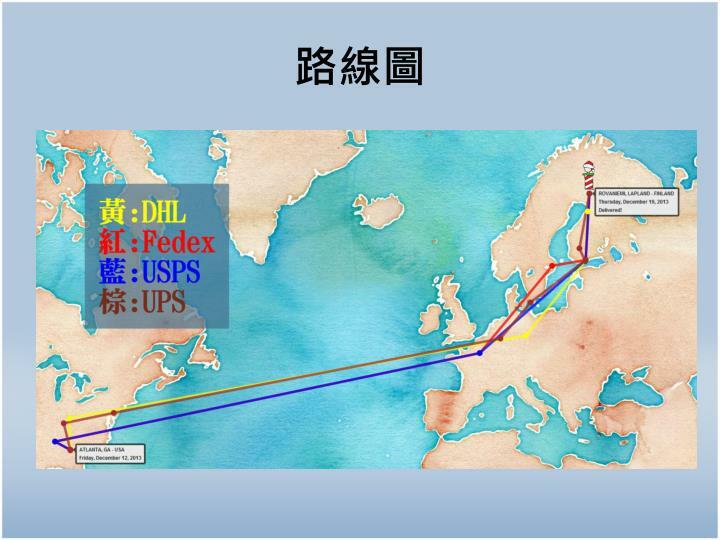 The Great Package Race 是由 Georgia Institute of Technology( 喬治亞理工學院 ), Supply Chain & Logistics Institute( 供應鏈與物流研究所 SCL ）所出資贊助的學生計畫。這個競賽是比較四家跨國包裹遞送公司 (UPS, Fedex , DHL, USPS) ，在每年設定的主題情境下，於同一時間收到主辦單位寄件的包裹後是如何送到目的地。. 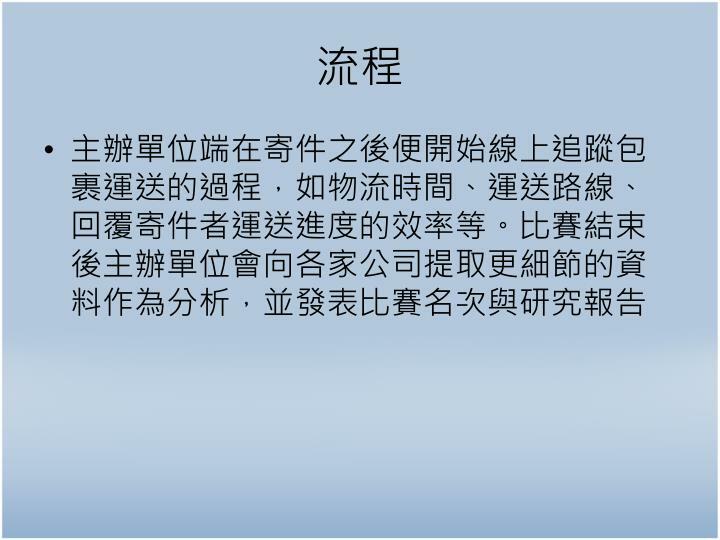 評比要素.